We’re excited to announce that Friends of Woodfords Corner has been selected as the beneficiary of the Shaw’s GIVE BACK WHERE IT COUNTS Reusable Bag Program! 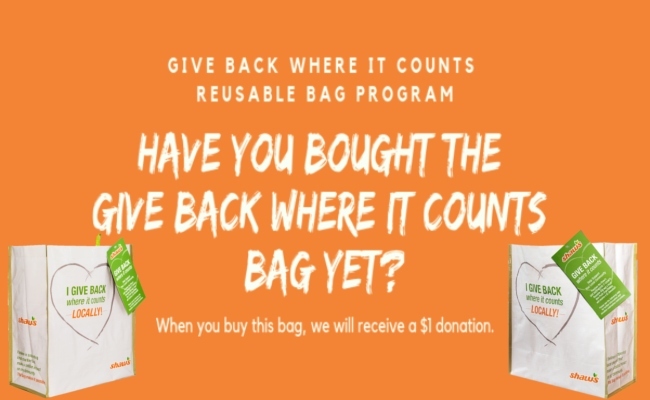 Each time the reusable GIVE BACK WHERE IT COUNTS Bag is purchased at the Shaw’s located at 91 Auburn Street during the month of April we will receive the $1 default donation. Support the environment and the FWC!